Oscar Wilde is such a hoot. I love the way he looks at the world he lived in and in many ways, his plays are still relevant in the 21st century, especially The Importance of being Ernest. Why are people obsessed about what other people think and life has a funny way of showing us up? Yes, I recently caught Wild Rice’s interpretation of that very play. If you missed it, don’t worry about it. In my humble opinion, it was just ok. A total hoot but only ok. 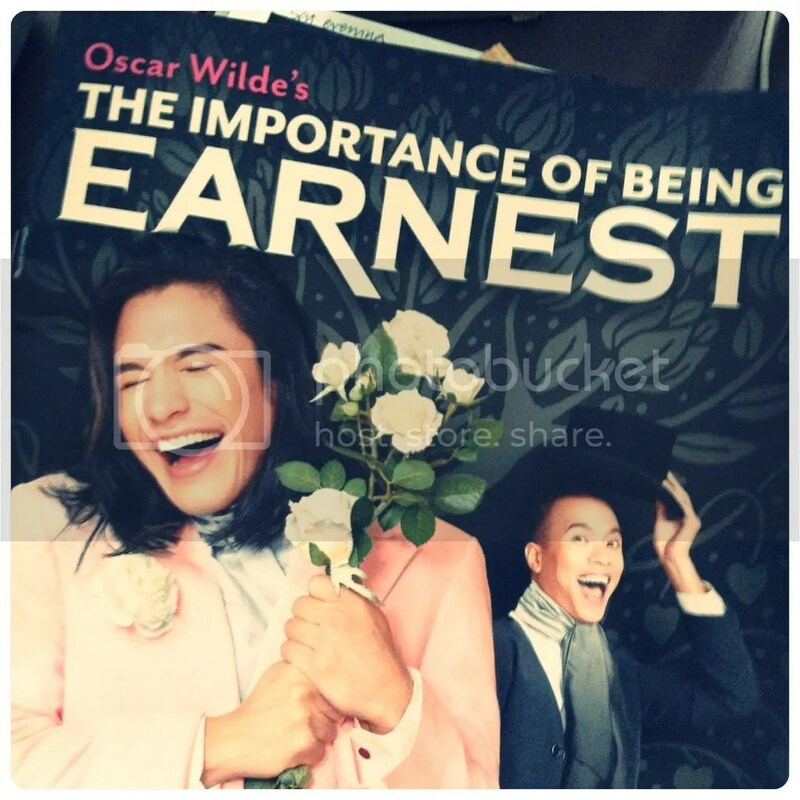 It was funny with Ivan Heng channeling his inner Maggie Smith as Lady Bracknell and Hossan Leong hamming it up as Miss Prism. However, that was the problem for me, it seem like Ivan Heng got his best mates together and just hammed it up for a party. The set looked like it could be someone’s home, especially a particular theatrical someone type home. The costumes would be what every good campy costume party host would expect of his guests. So that’s how I felt, like a neighbour peering through the fence watching an over the top costume party. Maybe that was Glen Goei’s intention and if it is, well done to him and his cast. If not, I paid … actually my good friend paid good money to attend a party we weren’t invited to.